Gordon & John are brothers. After a period of estrangement, they are brought back together to tie up the loose ends surrounding their fathers mysterious disappearance 7 months earlier. This requires them to pack up and empty his old VHS rental store. Whilst doing so, Gordon has a vivid dream and wakes to find the presumed missing key to the stores office next to his bed. 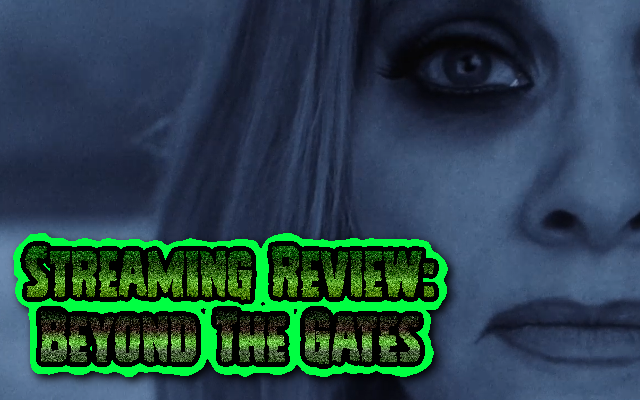 Inside the office they discover a bizarre looking VHS board game, “Beyond The Gates”. It seems that their father was playing the game right before he vanished. After viewing what seems to be a few minutes of the tape, they discover that hours have passed. Later that evening, they alongside Gordons girlfriend decide to play the game. Little do they know, it may cost them their lives… (Yes, this is a horror take on Jumanji). And to say any more would spoiler the film. The film utilises a core cast of just 4 actors, all of whom acquit themselves well. Brea Grant, Chase Williamson, and Graham Skipper are our 3 protagonists, and each handles their respective archetypes well. Brea is the girlfriend, and probably has the least to do of the main 3. She does provide a link between the brothers, and as expected is imperiled at the films climax. Chase Williamson plays John the “wild” brother who is an under developed man-child. 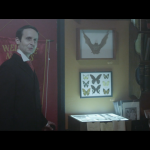 Graham Skipper plays Gordon, the “uptight” brother with demons in his past. And the 4th Main actor? Well, that is genre icon Barbara Crampton, who appears as the games unnamed hostess. All you see is her face on a TV, but she imbues the role with a gravity that keeps it away from being corny. Director and co-writer Jackson Stewart clearly has a fondness for the VHS era, and it shows. His direction is a tad above that of most low budget offerings, allowing for character to develop rather than purely focussing on the expected gore. Overall, for a film that cost around $300k, the film looks damned good. The effects are kept to a minimum, with just 3 scenes of gore during the entire film. And there is the tiniest bit of digital manipulation used. Audio is OK, with clear voices and reasonable music. 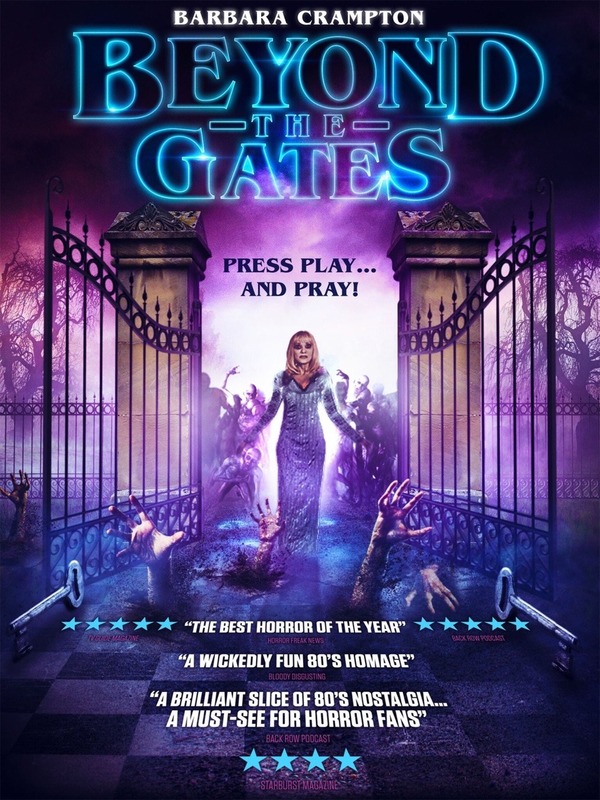 Overall, I enjoyed Beyond The Gates. Yes, it has a slight run-time (82 minutes), but that just means it doesn’t outstay its’ welcome. 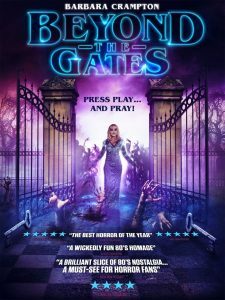 Fans of DTV horror from the 80s and early 90s will find plenty to admire here, with nostalgia seeming to be the films driving force. 4/5 Fiends. Pretty damned good.